With the ending of the most recent legislative session on May 2, 2014, the Florida Legislature addressed the issue of what many attorneys in Florida have considered the unlicensed practice of law by community association managers. House Bill 7037 was adopted this term and expands the role that CAMs play in the associations that they administrate. Effective July 1, 2014, community association managers will now have a much broader scope of powers and duties, including the ability calculate the votes required for a quorum or to approve an amendment, to negotiate financial terms of contracts (subject to approval by the association), determine amounts due to the association before the filing of a civil action, draft pre-arbitration demands, meeting notices and agendas, and calculate and prepare assessment and estoppel certificates. 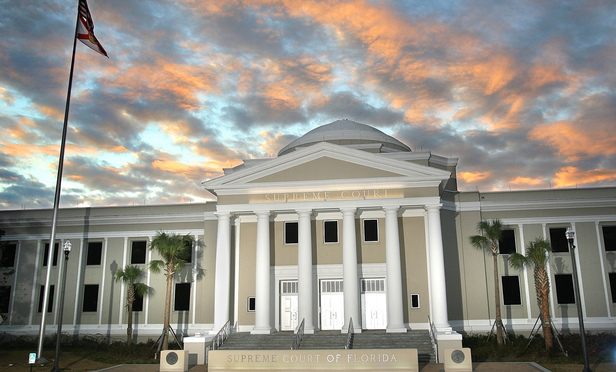 However, many of the recent amendments to a community association manager’s responsibilities are directly contradictory to the opinion of The Florida Bar, which has taken this issue to the Florida Supreme Court. Pursuant to the state’s constitution, the Supreme Court has exclusive jurisdiction to define the practice of law and regulate the unlicensed practice of law in the state. As I wrote in this blog in October of 2012, the Supreme Court previously adopted an advisory opinion that found that managers would be engaging in the unauthorized practice of law if they should prepare claims of lien and satisfactions of claims of lien documents, as these documents require legal descriptions of the property and establish the lien rights of community associations. The opinion also provided that the drafting of a notice of commencement form would also constitute the practice of law, as would determining the timing, method and form of giving notices of meetings, and determining the votes necessary to take certain actions – because such determinations necessitate an interpretation of Florida law and the association’s governing documents. In addition, responding to the association’s questions regarding the application of the law to specific matters being considered and advising the association that a specific course of action may or may not be authorized under the law would also constitute the practice of law by a CAM. While many associations believe that they will be able to avoid additional expenses in legal fees if managers perform these tasks, there are a number of legal decisions that illustrate the complications that can arise when managers take on legal responsibilities. Compliance with a statute is critical when it comes to demand letters, claims of lien and pre-arbitration notices. In many cases, associations have ended up incurring more in legal fees to correct mistakes than they likely would have had to spend had they originally used their attorney. Association boards should bear in mind that the preparation of claims of lien, notices of commencement and other legal documents do not typically result in significant attorney fees, but the ramifications of errors in these documents and forms can prove to be very costly. It is simply not worth the risk for associations or their managers to prepare these documents in order to avoid the relatively nominal legal fees.